MSM 60 is a dispersible granule that is mixed in water and applied as a spray. MSM 60 controls many annual and perennial weeds and woody plants in noncrop areas, conifer and hardwood plantations. MSM 60 may be used for weed and brush control, and for the control of certain noxious weeds on non-crop sites, ditch banks of dry drainage ditches, and for selective weed control in certain types of unimproved turf grass. Do not use on irrigation ditches. Labeled for Non-crop Area, Conifer and Hardwood Plantations, Select Cereal Crops, Pasture, Rangeland, and Industrial Sites. For better broadleaf control add 1 pint Weedone LV4 (24D Ester). Increases safety of the product on the grass. 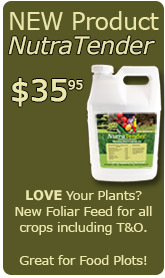 Approximate use rate: 1/10 - 1 ounce per acre. Controls Bahia grass in Bluegrass, Bermudagrass & St. Augustine at a rate of 0.75 ounce per acre plus surfactant (Alligare 90) at 1 quart per 100 gallons of water. Spot application rate: 0.36 ounce per 10 gallons of water plus 3.33 ounces of surfactant (Alligare 90). We offer Alligare 90 in our Adjuvant section. Plants controlled or suppressed by MSM 60DF Herbicide, see label for specific information. MSM 60DF Herbicide is labeled for use on the following areas but always consult the label for specific information.